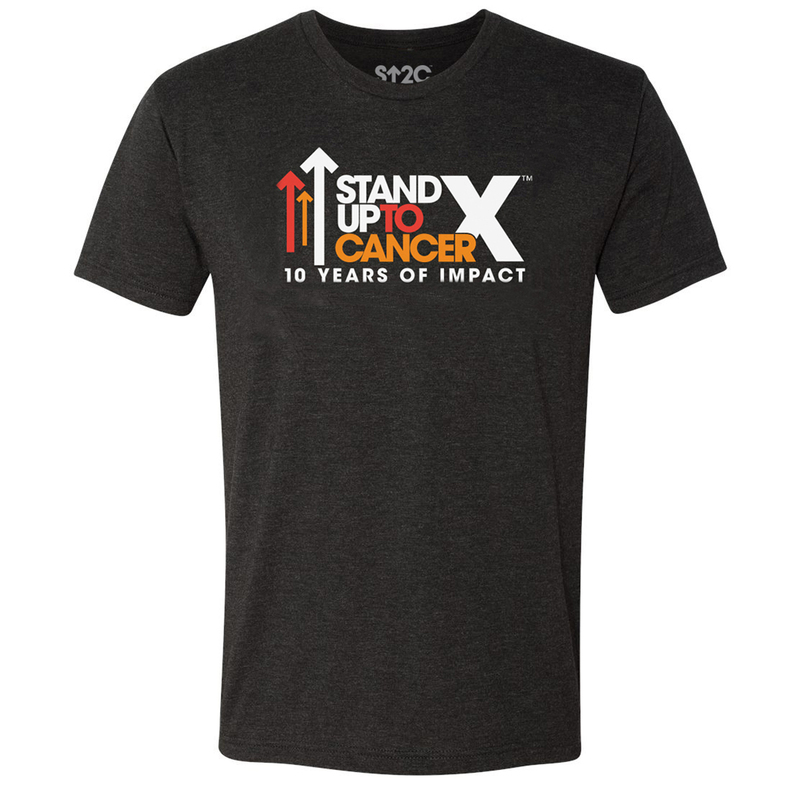 Stand Up with this SU2C 10th Year Logo T-Shirt in vintage black. Celebrate 10 years of support to accelerate cancer research. This soft comfortable t-shirt is great to show your support.